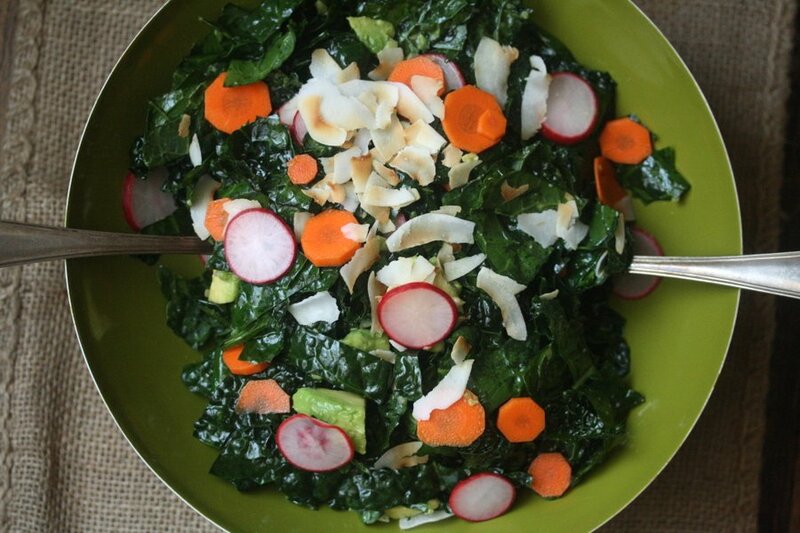 One of my favorite dishes to teach is this marinated kale avocado salad. Sure, by now most New Yorkers are such fanatics they’ve probably converted their shampoo, face cream, and bed sheets to products with some derivative of kale. But I’m always surprised by how few people know how to easily remove the stems and cut the leaves to get the thin, beautiful ribbons, they’re used to seeing in the restaurant kale salads of their dreams. It’s for this reason that I decided to develop a kale avocado salad for my Vitamin Shoppe pantry to plate class. To give the recipe a new flavor from my past kale efforts, I used coconut oil (I like this brand), toasted coconut, and liquid aminos for a slight Asian vibe. One of my favorite new healthy local spots is Nourish Kitchen + Table. 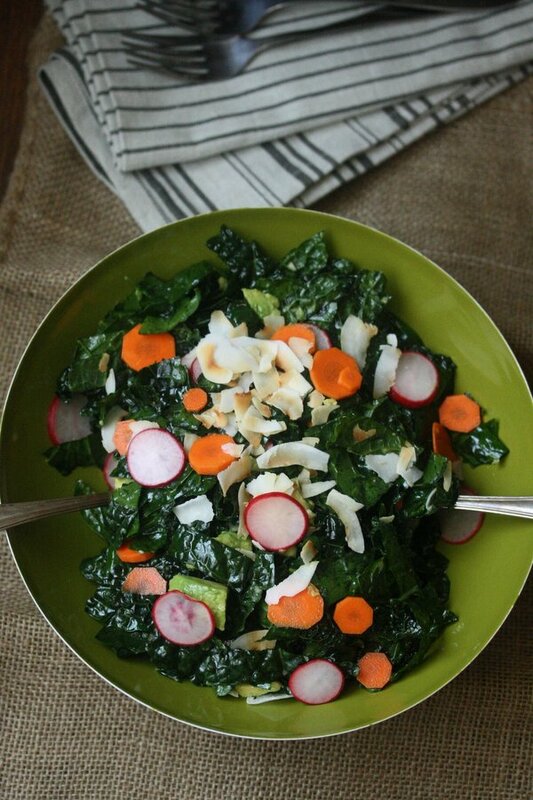 Their detox kale salad is one of the best around. 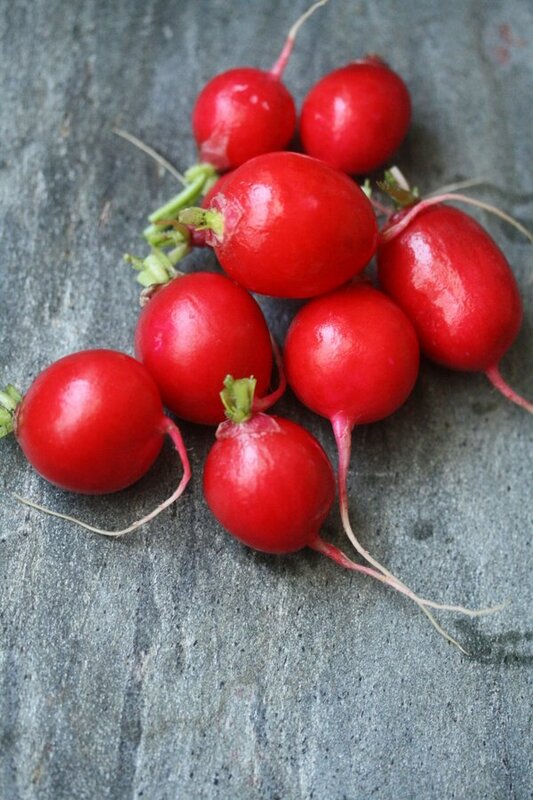 It has a hint of sesame and tamari, but the highlight for me is that it’s topped with beautiful shaved watermelon radishes. 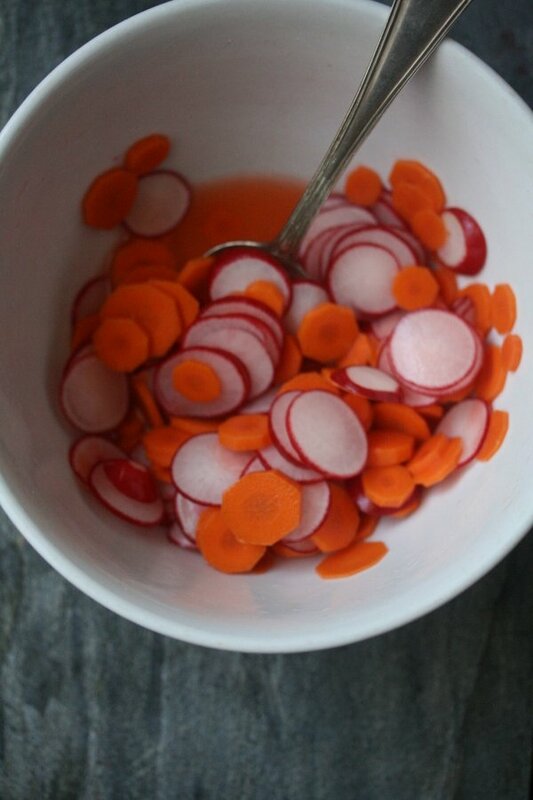 Since apple cider vinegar was one of my pantry ingredients du jour, I did a quick pickle on some radishes and carrots for the salad. One of the many benefits of apple cider vinegar is that it’s known to support insulin function. 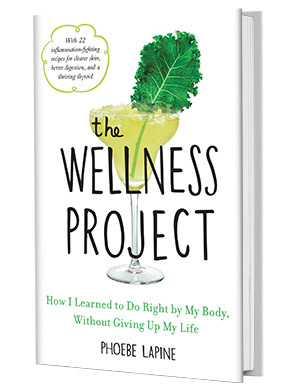 This makes it a great thing to incorporate in your diet if you tend to eat a lot of carbs, like, say, fried rice. 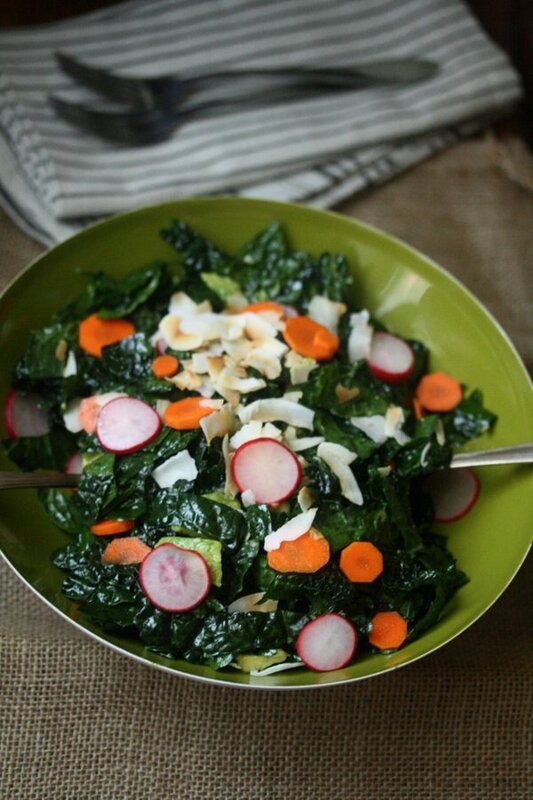 The coconut oil gives the salad a great background flavor. But one thing to note is that it can easily go from liquid to solid when confronted with cold temperatures. So make sure your kale is room temperature and not straight from the fridge. Otherwise, hold off and wait until after the marinating process to drizzle in the coconut oil as a flavor finish. 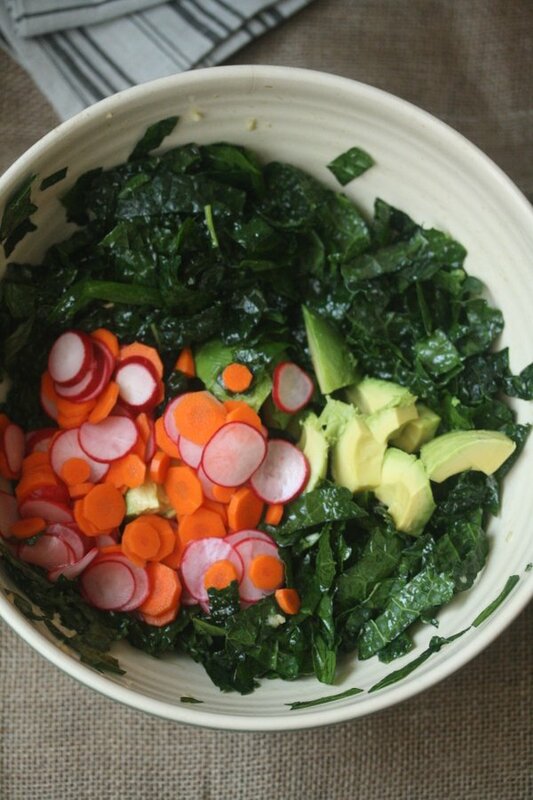 This detox kale avocado salad with pickled vegetables is exactly what my body has been hungering for the past few weeks as I’ve force fed it high fructose corn syrup and MSG. It’s also a great thing to make in advance and pack in your lunchbox for those of you who are a little late to the game on getting in the back-to-school healthy groove. 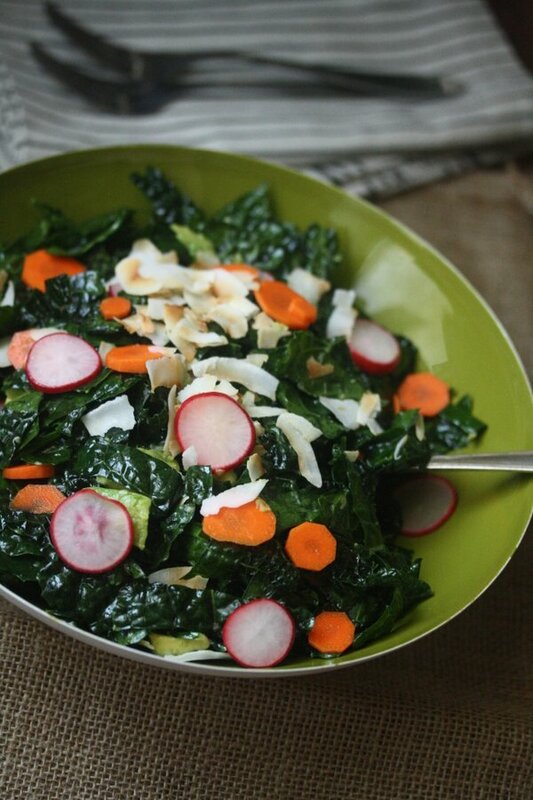 You’ll want to serve this kale avocado salad at room temperature so the coconut oil doesn’t solidify. Stack the kale leaves in a pile and roll up like a cigar. Thinly slice the kale. Set aside in a large mixing bowl. Add the garlic, lemon juice, liquid aminos and olive oil. Mix together with your hands until each leaf of kale is very well coated in the lemon-oil mixture. Drizzle in the coconut oil and toss to combine. Set aside for 15 minutes, stirring occasionally, until wilted. Me love. So healthy, and I usually find coconut oil hard to incorporate but this gives me an idea where I went wrong. you can use it instead of olive oil for sauteing too! 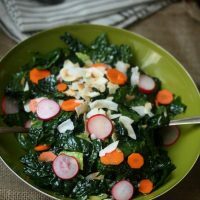 I still have a ton of kale in my garden and from my CSA, and I have been looking for a new preparation…you can never have too many kale salad recipes, right? Just discovered liquid aminos, too — love the sound of all of these flavors! 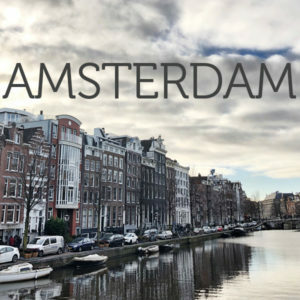 will report back. What a beautiful combination. I am always looking for potential ways to get my kids to like kale. It is the never ending struggle 🙂 My daughter LOVES anything pickled so I have high hopes for this recipe.